I realize that drums transcriptions may vary according to transcriber. I would find it beneficial if the studio would please include a drum staff legend link in order to accurately interpret your transcriptions. Thank You. 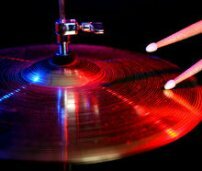 There is actually a link to a free pdf drum tab key at Almost Free Drum Tabs. Just go to the page, scroll down to just past "Give Me The Free Disturbed Tab!" ad you will see a link which says " Free (Guitar Pro) Key". Click on that link and you will get a free pdf file that you can print out. If you still have questions, feel free to write again.